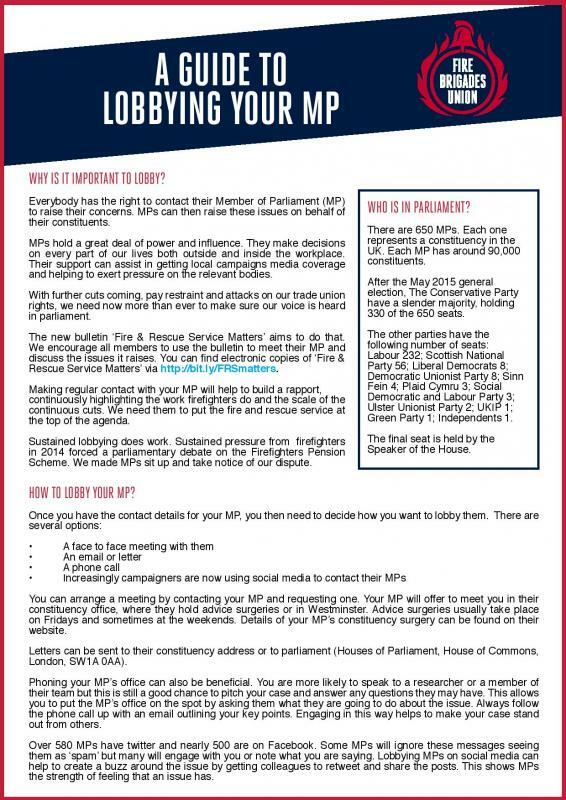 Everybody has the right to contact their Member of Parliament (MP) to raise their concerns. MPs can then raise these issues on behalf of their constituents. MPs hold a great deal of power and influence. They make decisions on every part of our lives both outside and inside the workplace. Their support can assist in getting local campaigns media coverage and helping to exert pressure on the relevant bodies. With further cuts coming, pay restraint and attacks on our trade union rights, we need now more than ever to make sure our voice is heard in parliament.